Kidney cancer is the most common malignant cancer of urinary system. Its incidence among male is twice of that among female. Benign cancers of kidney often has no symptoms, otherwise, they are probably malignant cancers. Symptoms of kidney cancer usually are not particular. Instead, symptoms of non-urinary system, unreasonable fever for example, are often the early signs of kidney cancer. Once it occurs, one should go to hospital for diagnosis timely. 1. General examination: when the tumor invades pelvis and kidney calices, there will be abnormal amount of red blood cells revealed by urine routine examination. However, even if urine routine examination proves normal, possibility of kidney cancer still cannot be excluded. 2. X-ray examination: it is very important diagnosis method of kidney cancer. Moreover, as the techniques and equipments are being improved constantly, the accuracy of X-ray examination is evidently improved. a. KUB (kidney, ureter and bladder): KUB will show irregularly enlarged kidney in the lesion, blur psoas major, and 10% of the inner or outer tumor being calcified. b. Pyelography: Intravenous pyelography and retrograde pyelography are the basic diagnosis methods of kidney cancer. c. Abdominal aorto-renal arteriography: it is an important method to detect early kidney cancer and determine its nature. d. Inferior vena cavography: 5%-15% kidney cancer patients have tumor embolus in the vein. Radiography can reveal whether there is tumor embolus in the inferior vena cava and kidney vein, or whether there are cancer compression and infiltration to the inferior vena cava. 3. CT examination: CT examination is mainly used in diagnosing the space-occupying lesion of kidney. It has high accuracy in identifying both cystic and solid masses. 4. MRI examination: it can clearly reveal solid kidney masses and distinguish them with kidney cysts. 5. Ultrasound: it can reveal the coverage of the kidney cancer and check whether there is infiltration to nearby organs, like liver and spleen, or swollen lymph nodes of kidney pedicle and retroperitoneum. It is very helpful in clinical staging of kidney cancer. 6. Radionuclide examination: Radioactive nuclide is of great value in kidney function inspection. Meanwhile, imaging techniques can reveal the condition of the kidney and check whether it is functioning normally. Radionuclide examination is suitable for those who cannot undergo X-ray imaging examination. 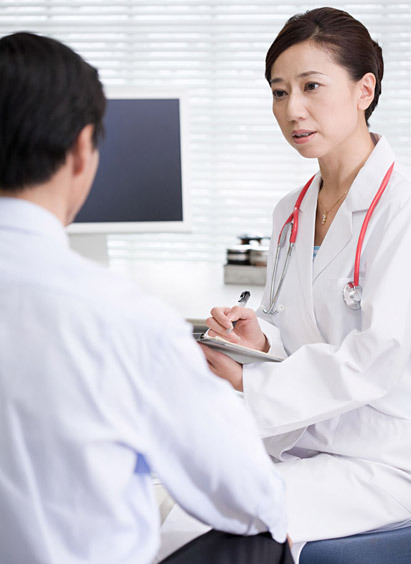 Experts from Modern Cancer Hospital Guangzhou remind that patients can choose any of above examination methods according to their own condition. As early stage kidney cancer usually has no obvious symptoms, regular routine examination is helpful in early detection of this disease.